A yellow bullhead caught in the Crystal River on Dec. 17 is the new state record for that species, a type of catfish, according to Florida Fish and Wildlife Conservation Commission (FWC) biologists. Tom Flynn of Homosassa was fishing with minnows he had caught at a boat ramp when he hooked into the catfish. The new state record yellow bullhead weighed 5 pounds, .75 ounces and was 20 inches in length. "Actually, I was fishing for mangrove snapper," Flynn said. "However, I started catching catfish and decided to keep them. I caught seven and took them home." Flynn tried to convince his wife the fish were good eating. "She's not really a big fan of catfish," Flynn said. "But she went online to check them out and discovered that the state record was 2.91 pounds. I knew I had bigger fish than that." Sure enough, when Flynn checked his catch, he had two fish that weighed more than the standing state record. Eric Thomas, an FWC freshwater fish biologist from the Ocala regional office, verified the new record yellow bullhead. 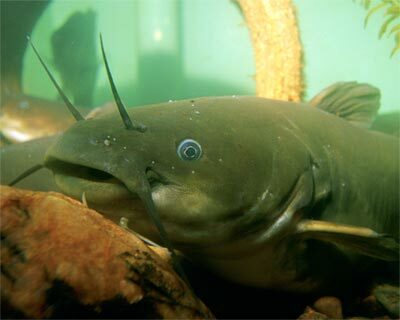 Yellow bullhead are similar in appearance to the more common brown bullhead, with a nearly square tail, but the chin barbels (whiskers) are pale yellow or pink, unlike the somewhat larger brown bullhead (state record: 5 pounds, 12 ounces) that has darker pigmented chin barbels. The previous record was a 2.91-pound yellow bullhead. Michael Pace caught it in the Withlacoochee River in Levy County on March 7, 2007. For a fish to become an official state record, an FWC biologist must verify the species and weigh it on a certified scale. However, the FWC also recognizes anglers who catch a memorable-size fish with a Big Catch certificate. These are issued for 33 different species of freshwater fishes and are subject to less stringent guidelines to allow an angler to be recognized if the fish's weight or length exceed minimum standards (see MyFWC.com/Fishing or the Freshwater Fishing Regulations Summary). For a Big Catch certificate, an adult needs to catch a yellow bullhead that exceeds either 14 inches in total length or 1.5 pounds (youth standards are 10 inches and 1 pound). The world record for this species is a 6-pound, 6-ounce yellow bullhead that John Irvin caught in Bates County, Mo., on May 27, 2006. "I can't believe what good eating these fish are," Flynn said. "I think I'm going to keep going for them and see if I can catch the new world's record."